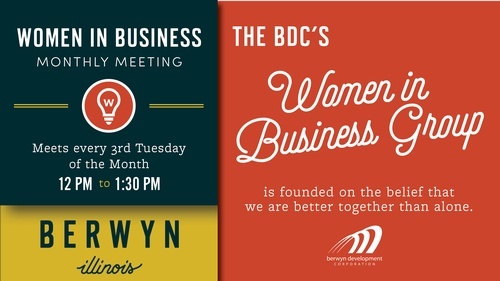 Women in Business Group - Feb 19, 2019 - Why Berwyn? - Why Berwyn? The Women's Business Group meets on the 3rd Tuesday of the month from Noon - 1:30PM. Best efforts are made to keep the session to one hour. We encourage you to brown bag your lunch.